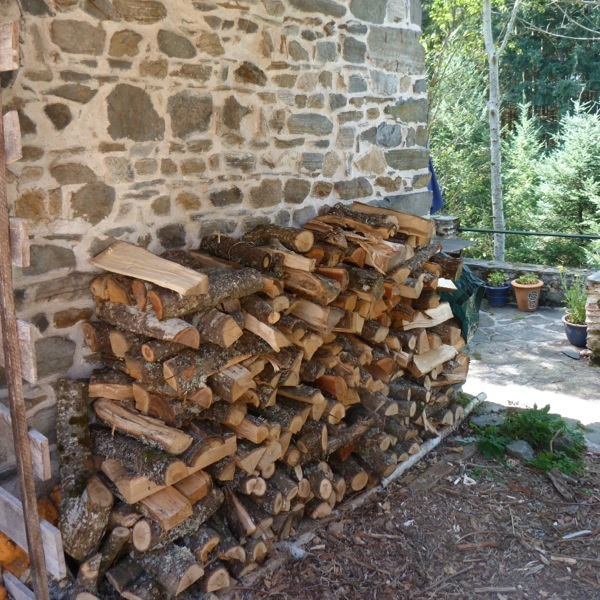 Here’s a sight to gladden the heart in September – a good stack of logs. We spent the morning splitting and stacking this lot. When we moved here last September, there were a lot of very overgrown trees shading the area that is now our vegetable garden, so we had most of them felled. The logs have been seasoning since, and this is the first lot that we’ve split, using a fearsome but very effective hydraulic log splitter. They’ll continue to dry out over the winter, and we should be able to start burning them from February or March next year. 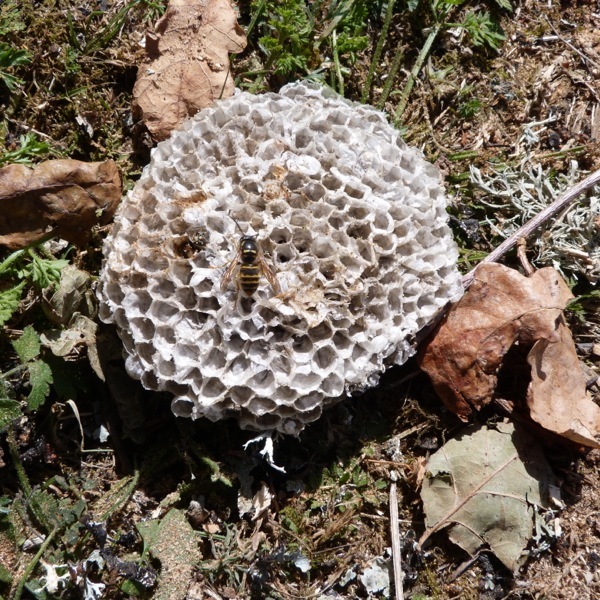 Unfortunately, we were interrupted in our work when we disturbed a wasps’ nest in one of the log piles. It had been built between the layers, and got split in half when I lifted off the top log. Cue much angry buzzing and a hasty retreat on my part! Here’s part of the nest, together with a former resident. Discretion being the better part of valour, we’ve decided to leave the rest of that pile for a while. We’ve lots more still to split, and then each log will have to be sawn in half so that it fits into our Rayburn, which is why we’re making an early start!